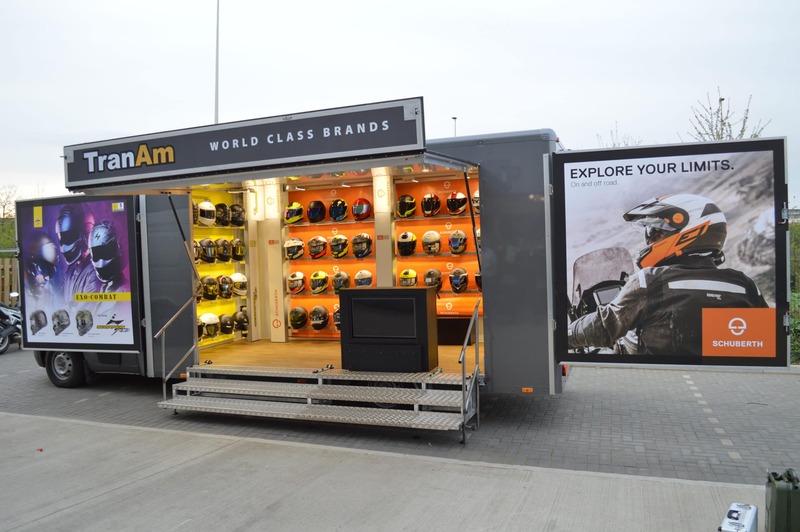 TranAm enjoy a wonderful reputation for delivering premium motorcycling clothing, parts and accessories across the UK. With a history of delivering the very best in terms of quality & reliability for over 40years we knew we had to create a special unit for them to display their products whilst on the road. Specialist interchangeable racking was created to offer a flexible display unit which carried the TranAm brand colours making it instantly recognisable. We installed a pop up TV screen which can be elevated from out of the floor and used to show any marketing material, yet can be safely stowed when in transit. Finally, the studio worked tirelessly to create stunning graphics and a full body wrap to finish the vehicle off to the premium specification enjoyed throughout.